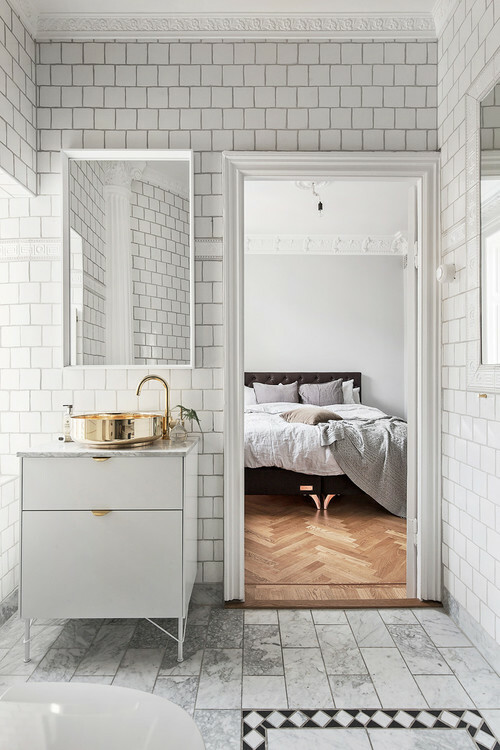 Interior designer Jesper Laursen shares his six best tips for adding a Scandinavian touch to your home. 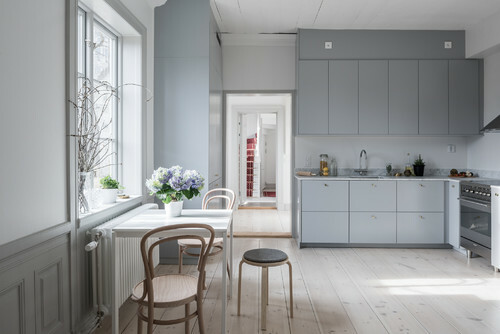 Jesper Laursen, who runs Scandinavian Homes and has been featured on Swedish design television shows, may have helped create one of the most popular interior styles in Sweden, writes Houzz.se's Amanda Strömberg. Here, he shares his favourite colours and materials to create that laidback style. Read some of these and more of Laursen's tips here. 1. What materials should you go for? 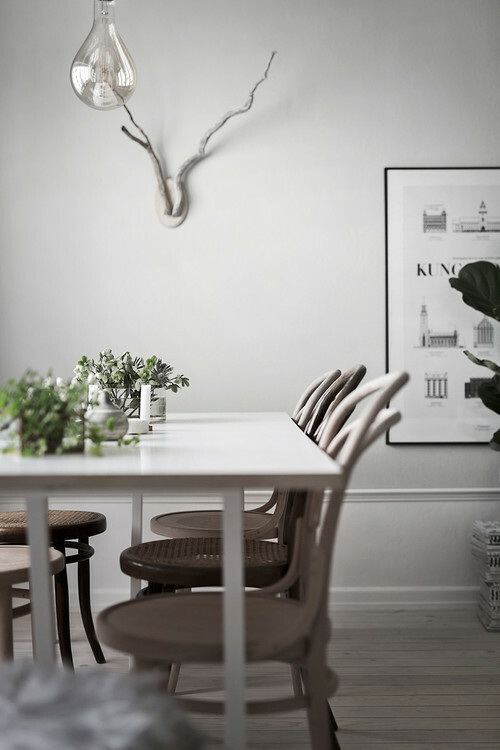 "Leather, wood, and stone are all natural materials that are an integral part of the Scandinavian interior style. The focus is on sustainability and quality, and what is better than material that gets patina and becomes more beautiful with the passing of time?" 2. Which are the best colours? 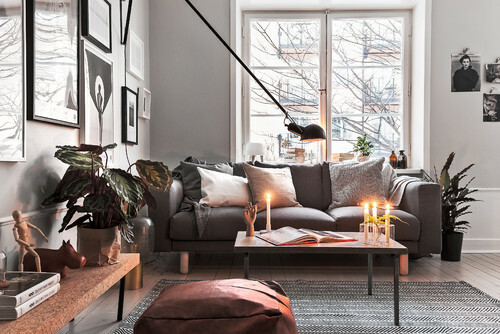 "The foundation of the Scandinavian interior style is its toned-down colour scheme. The style focuses on creating airy rooms with generous light flow. Therefore, white or grey walls are a good place to start. Generally you use an earthy colour palette with light nuances of blue, brown, and green. These can easily be varied and create, together with the white or grey walls, a harmonious and pleasant whole. 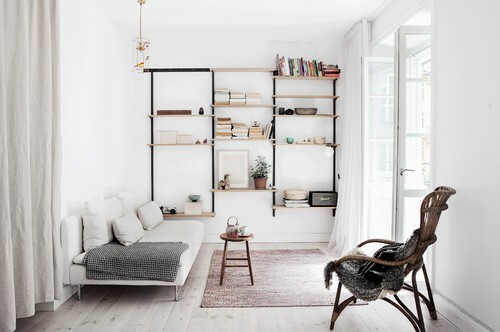 Black often works well as a contrast colour and can be added in form of still lives and picture frames, for example, and gives a bit of an edge and attitude to the space." 3. Where do you put the furniture? "Even if the ambition is that the room should feel conscious and arranged, you don’t want it to be perceived as too up-tight or planned out. Therefore it might look nice to use textiles or art to make it a bit more nonchalant or flippant. 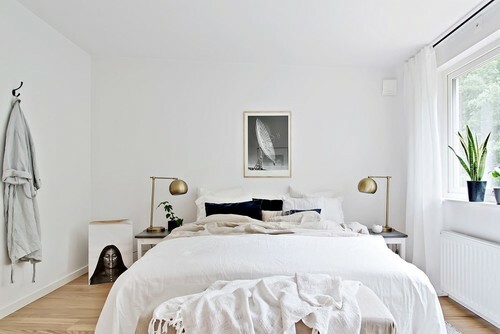 Throw a blanket over the edge of the sofa, make the bed in somewhat of a sloppy manner and place a framed picture on the floor. This way, you avoid the result being too perfect, and instead you get a sense of conscious relaxation." 4. Design classics or flea market finds – what to invest in? "What's cheapest is not always the most affordable, especially over time. If you have the opportunity, invest in quality products. Design classics have a long shelf life and are not influenced by fashion and trends. They live their own life, age with dignity, and usually retain their value." 5. 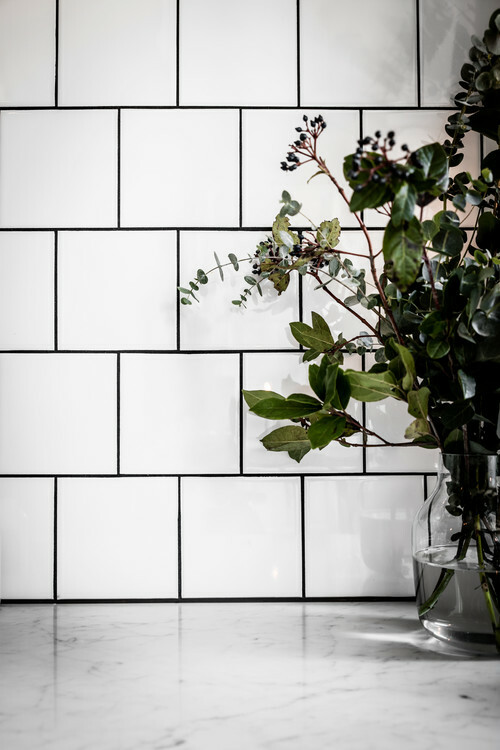 What detail completes your Scandinavian-style home? "Use green plants to create a fresh and vibrant feel at home. 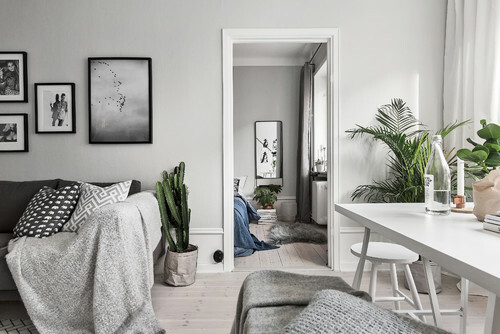 Cypress asparagus fern and Monstera are plants that fit perfectly with the Scandinavian style. Don’t be afraid to use large plants, they add character and makes the home feel cool. 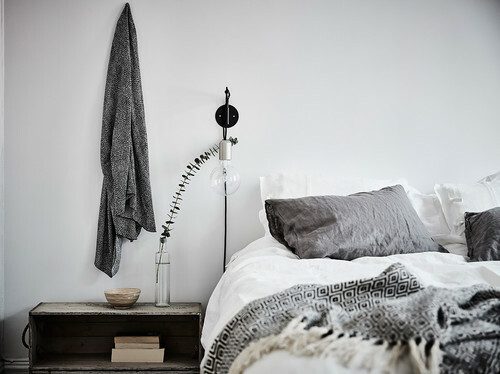 A little sloppy bed making and a pile of magazines on the floor de-dramatize and contribute to a more personal home." 6. How do you avoid it being too minimalistic? 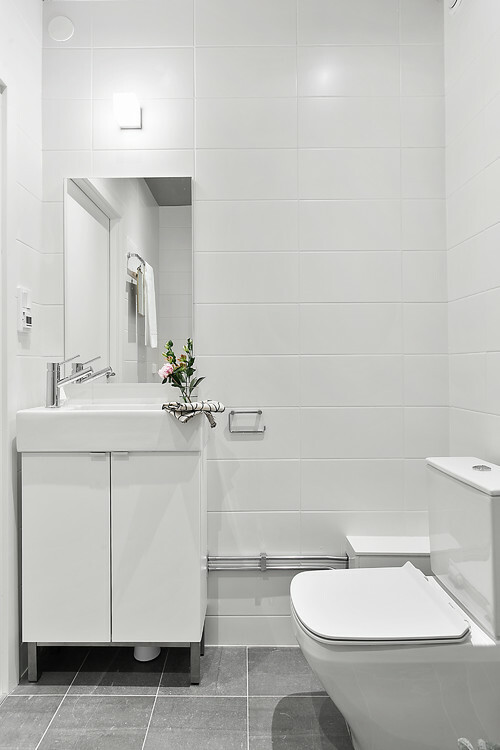 "To avoid a too minimalistic home it is important to focus on the details. This is an opportunity, through personal items, to create a sense of coziness and warmth. Do not be afraid to mix the new with the old; but even here, try to work with a low-key colour palette and materials, with roots in nature."